When we first look at another person, our immediate instinct is to anticipate possible danger. In thus "seeing" another face, our perceptions are influenced by ancient ideas and feelings—in short, stereotypes—about "evil" or "criminal" types that denote a relationship between the physical and the moral. THE FACE OF EVIL surveys the long history of attempts to identify and categorize the physiognomy of evil, from the paintings of Hieronymous Bosch to such "sciences" as physiognomics, phrenology, eugenics, and anthropometrics, to latterday notions of criminal anthropology. 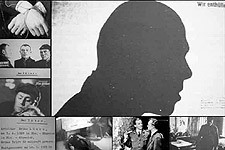 The film illustrates these dubious efforts through the historical case study of Bruno Lüdke, an alleged serial killer arrested in Germany in 1943 and charged with more than 50 murders. The stockily-built, mentally deficient young man, who was felt by Nazi authorities to have the appearance of a "born criminal," became a guinea pig for a series of biological experiments to validate their beliefs in racial categories, of atavistic or degenerate types, a hierarchical ranking of the "Other." 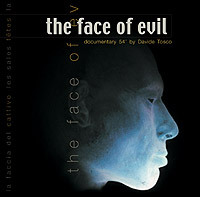 THE FACE OF EVIL features excerpts from The Devil Strikes at Night, a 1957 German film dramatization of the Bruno Lüdke story, archival footage and photos, museum artifacts and police archive documents. Numerous sociologists, historians, criminologists, photographers and writers discuss the Lüdke case as well as the work of early theorists of criminology such as François Joseph Gall, César Lambroso, Alphonse Bertillon, and Eugène François Vidocq, and how literature, photography and the cinema have perpetuated a typology of "good" and "bad" faces and the notion of the criminal as a recognizable type. The legacies of three 19th century visionaries - Jeremy Bentham, Charles Babbage, and Francis Galton - who helped shaped modern (post) industrial society. A history of the esoteric ideas and myths that served as a breeding ground for Nazi ideology and inspired Adolf Hiter.